Harvey Herschel Korman (February 15, 1927 – May 29, 2008) was an American actor and comedian who performed in television, film productions, and as a voice artist. His big break was being a featured performer on CBS' The Danny Kaye Show, but he is best remembered for his performances on the sketch comedy series The Carol Burnett Show and in several films by Mel Brooks. Korman, who was of Russian Jewish descent, was born in Chicago, Illinois, the son of Ellen (née Blecher) and Cyril Raymond Korman, a salesman. He served in the United States Navy during World War II. After being discharged, he studied at the Goodman School of Drama and at HB Studio. He was a member of the Peninsula Players summer theater program during the 1950, 1957, and 1958 seasons. 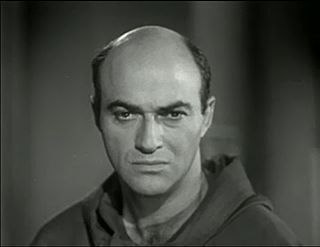 Korman's first television role was as a head waiter in The Donna Reed Show episode, "Decisions, Decisions, Decisions". He appeared as a comically exasperated public relations man in a January 1961 episode of the CBS drama Route 66. He was seen on numerous television programs after that, including the role of Blake in the 1964 episode "Who Chopped Down the Cherry Tree?" on the NBC medical drama The Eleventh Hour and a bartender in the 1962 Perry Mason episode, "The Case of the Unsuitable Uncle." He frequently appeared as a supporting player on The Danny Kaye Show from 1963 through 1967. He was cast three times, including the role of Dr. Allison in "Who Needs Glasses?" (1962), on ABC's The Donna Reed Show. He also guest-starred on Dennis the Menace and on the NBC modern western series Empire. 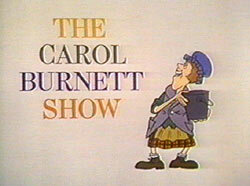 With the 1967 debut of The Carol Burnett Show, Korman saw his greatest fame. He was nominated for six Emmy Awards for his decade of work on The Burnett Show and won four times – in 1969, 1971 (for "Outstanding Achievement" by a performer in music or variety), 1972, and 1974. He was also nominated for four Golden Globes for the series, winning that award in 1975. While appearing on The Carol Burnett Show, Korman gained further fame by appearing as the villainous Hedley Lamarr in the 1974 film Blazing Saddles. He also starred in High Anxiety (1977) as Dr. Charles Montague. In 1978 he appeared in the CBS Star Wars Holiday Special providing "comedy" in three of the special's variety segments: a cantina skit with Bea Arthur where he plays a barfly who drinks through a hole in the top of his head, another as Chef Gormaanda, a four-armed parody of Julia Child, and one as a malfunctioning Amorphian android in an instruction video. In 1980 he played Captain Blythe in the Walt Disney comedy, Herbie Goes Bananas. In 1981 he played Count de Monet in History of the World, Part 1. In later years he did voice work for the live-action film The Flintstones as well as for the animated The Secret of NIMH 2: Timmy to the Rescue. He also starred in the short-lived Mel Brooks TV series The Nutt House, and in his final Mel Brooks film, as the zany Dr. Seward, in Dracula: Dead and Loving It. In 1986, he starred in the failed CBS comedy series Leo & Liz in Beverly Hills with Valerie Perrine. 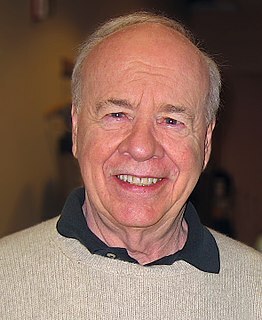 He also reunited with fellow Carol Burnett Show alumnus Tim Conway, making a guest appearance on Conway's 1980–1981 comedy-variety series The Tim Conway Show. The two later toured the U.S. reprising skits from the show as well as performing new material. A DVD of new comedy sketches by Korman and Conway, Together Again, was released in 2006. Korman and Conway had been jointly inducted into the Television Hall of Fame in 2002. Korman died at the age of 81 on May 29, 2008, at UCLA Medical Center, as the result of complications from a ruptured abdominal aortic aneurysm he had suffered four months earlier. His grave is at Santa Monica's Woodlawn Cemetery. ^ "Harvey Korman Biography (1927–)". filmreference.com. Retrieved 26 May 2015. ^ "Harvey Korman". Telegraph. 2008-06-03. Retrieved 2008-06-03. ^ Cheng, Jim (2008-05-29). 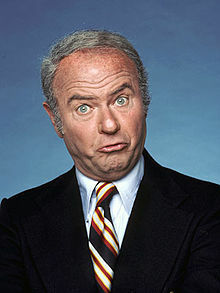 "Carol Burnett Show' veteran Harvey Korman dies at 81". USA Today. Retrieved 2008-05-29. ^ O'Connor, John J. (April 24, 1986). "'LEO AND LIZ' AND 'BRIDGES TO CROSS'". New York Times. The New York Times. ^ "Amazon.com: Tim Conway Harvey Korman Together Again DVD: Tim Conway, Harvey Korman, Louise DuArt, Pasquale Murena: Movies & TV". amazon.com. Retrieved 26 May 2015. ^ "Entertainment News, Celebrity News, and Arts & Entertainment". NBC Southern California. Retrieved 26 May 2015. ^ "Comic Actor Harvey Korman Dies:Korman voiced roles on shows like HEY ARNOLD!". Animation World Network. Retrieved September 22, 2009. The Flintstones is an American animated sitcom produced by Hanna-Barbera for ABC. 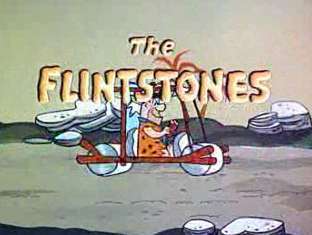 The series takes place in a romanticized Stone Age setting, and follows the activities of the titular family, the Flintstones, and their next-door neighbors, the Rubbles. 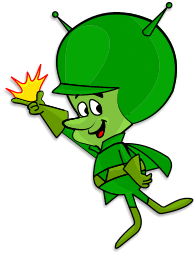 It was originally broadcast from September 30, 1960 until April 1, 1966, in a prime time slot, the first such instance for an animated series. The Flintstones in Viva Rock Vegas is a 2000 American comedy film directed by Brian Levant, written by Jim Cash, Harry Elfont, Deborah Kaplan, and Jack Epps, Jr., and is the prequel to Levant's The Flintstones (1994), based on the 1960–66 animated television series of the same name. It is set before the events of both the series and the first film, showing how Fred and Barney met Wilma and Betty. Vicki Ann Lawrence, sometimes credited as Vicki Lawrence Schultz, is an American actress, comedian, and pop music singer known for the many characters she originated on CBS's The Carol Burnett Show, where she appeared from 1967–78, for the entire series run. One such character was "The Family" matriarch Thelma Harper/Mama, the cold, unaffectionate mother of the neurotic, misfortunate, Eunice (Burnett) although Lawrence is 16 years younger than Burnett. 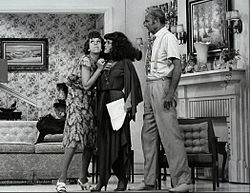 Thelma Harper was the central character of the television situation comedy series Mama's Family on NBC and, later, in first-run syndication. She is currently starring in the Fox sitcom series The Cool Kids. The Flintstones' 25th Anniversary Celebration is a 1986 American live-action/animated television special produced by Hanna-Barbera Productions in association with Robert Guenette Productions, which premiered on CBS on May 20, 1986.